Simply enter your name and e-mail address to get free instant access to this powerful online video training. Just a free week of tax lien certificate investment training. This invaluable beginner’s course is comprised of 7 FREE Online Training Videos that you’ll receive once a day over the next week. This course is very basic in nature, and is not complicated or difficult to understand. We purposely designed it to give you a very thorough understanding of the entire Tax Lien Certificate (TLC) and Tax Deed (TD) investment processes, and to answer the vast majority of the most important commonly asked questions we’ve received over our 27 years of expert Tax Lien Certificate investment experience. This "Accelerated Mini-Course" is 100% pure training content with absolutely nothing for sale in any of the video lessons. 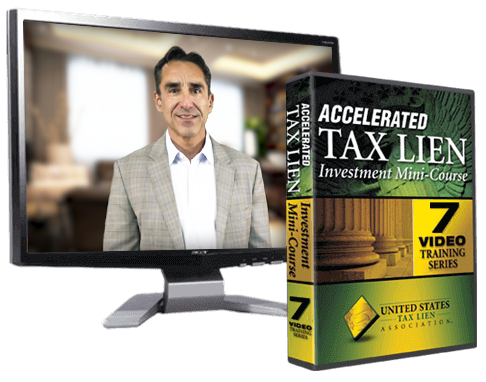 This gives you the opportunity to really focus and learn about the Tax Lien Certificate investment strategy, and also determine for yourself whether the TLC investment strategy is the perfect strategy for your current and future financial success. 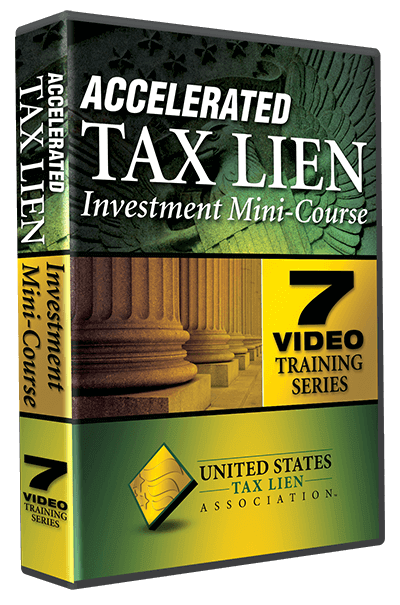 Although this course will give you a tremendous amount of valuable foundational information regarding successful Tax Lien Certificate investing, it’s not intended to be the only step you take to further your Tax Lien Certificate investment education. Rather, it’s intended to be a beginning step that will give you relevant, accurate, foundational, and necessary information to help you begin the process of becoming a successful Tax Lien Certificate investor. This video will give you a thorough understanding of the tax lien certificate investment strategy, and all of the necessary basic fundamentals you must know before you get started. This powerful training will show you step-by-step exactly how the tax lien certificate investment process works A to Z. You’ll learn exactly how the process begins, and exactly how you get paid. Investing in tax lien certificates from home without having to travel to attend auctions is an absolute necessity. This training session will reveal the little known strategy of "assignment purchasing," which gives you the opportunity to safely acquire tax lien certificates from the comfort of your own home. Tax Lien Certificates vs. Tax Deeds – What’s the Difference, and Which is Better? There are 2 outcome objectives when investing in tax lien certificates: 1) earn high interest rates, or 2) acquire valuable real estate for pennies on the dollar. Both are extremely profitable. This training session discusses both strategies in detail so that you can determine which strategy is best for you. The same risk factors that exist when purchasing your own home, exist when investing in tax lien certificates, with the exception of risky mortgages. Although risk factors exist, they can easily be avoided. This training session reveals the most common risk factors, and how to avoid them. We hand selected the 10 most commonly asked questions we’ve received over our 27+ years of expert experience, and then answered them for you candidly and thoroughly. Now that you have a thorough understanding of the tax lien certificate investment strategy, we’ll spend this entire session showing you case study after case study of actual tax lien certificate investments along with all of the supporting documentation. Start Your Free Online Training Now!